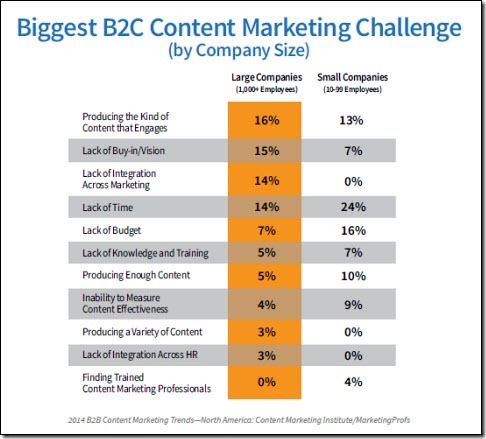 According to the 2014 Bto C Content Marketing Benchmarks, Budgets, and Trends–North America study, conducted by the Content Marketing Institute, more than 50 percent of B2C marketers (52 percent, to be precise) have no content marketing strategy. B2C marketers have rated many tactics higher in effectiveness this year; in-person events and eNewsletters top the list of effective tactics. B2C marketers confidence in the effectiveness of video use polled at 65% approval rate. Crafting a strategy for content marketing is a big hurtle for small and large companies alike. Another challenge after creating great content is planning and deploying a solid plan for great distribution to get the message to the targeted audience. Getting the right content in front of prospects is the key to moving a buyer through each stage of the sales cycle. Where does content marketing fit in the four buying cycle steps? The key is to reach the buyer with your branded message at the point that they become aware of the need. You must first know where they go for information and be able to quickly articulate the key benefits of your product or service and how it solves their need. A well planned promotion helps stimulate the ultimate reality of reeling in interested buyers and then guiding them through the rest of the sales cycle. As the buyer digs deeper, after having interest peaked during the awareness stage, the ability to convey benefits that coincide with the buyer’s needs is crucial. Your message can help them set the criteria that only you can meet and apply importance to key benefits of your brand. Adding in testimonials, product/service satisfaction ratings, awards and other validating information aids in establishing credibility which helps lead buyers to the purchase step. This is the stage where offering information of value in exchange for customer contact information is recommended. ( IE: No-cost consultation/evaluation, White Paper or Case Study download, access to an educational webinar, subscription to a relevant e-newsletter or an expert article) Short of making an immediate purchase, these become leads that can be nurtured and eventually moved to the purchase step. The buyer has decided on a product/service that best matches his need and has assigned a value in order to make a purchase. If you offer a compelling promotion and have established value and benefits during the consideration step, you should be in good shape at crunch time. It is highly recommended that there is a mechanism in place to capture customer/client contact information (email address, phone #s, etc.) at the point of sale to foster an ongoing relationship for future sales. Repeat sales and referrals are the gravy associated with the buying cycle and is often overlooked. Your product/service after-sale cycle may include support, appointment reminders, and tips for use or maintenance as a few examples. Any reason to provide excellent after-sale support and relevant communication with each customer/client impacts future buying and fosters positive word of mouth. Of course, it is optimum to work with a professional marketer when creating your “voice” or messages for the targeted customer/client, but your expertise in each product or service is instrumental in the creation process. 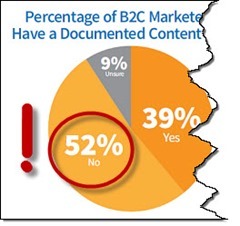 Most importantly, it is key to document your content strategy for continuity and to boost overall results of your marketing.